Not just for genes, the PiggyBac system is also an excellent choice for reliably producing shRNA . 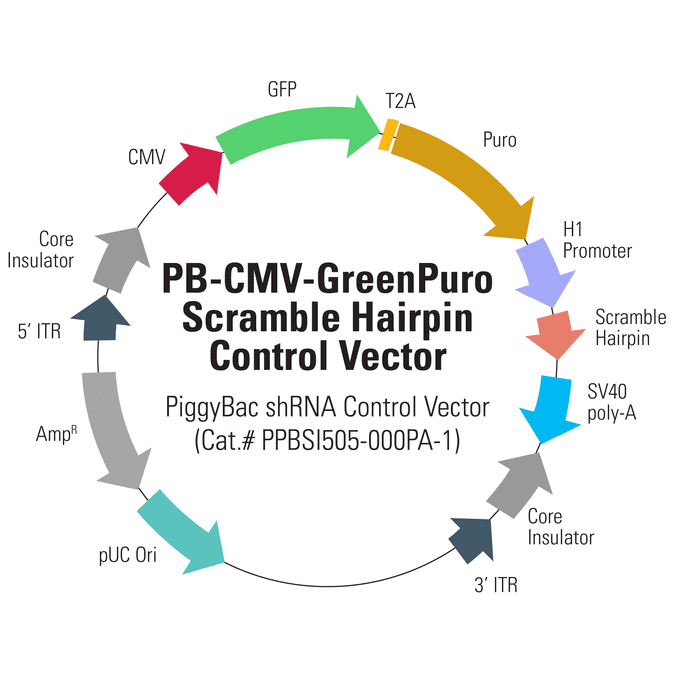 The PB-CMV-GreenPuro Scramble Hairpin Control Vector (Cat.# PBSI505-000PA-1) is a ready-to-transfect control for your PiggyBac shRNA projects. The vector features GFP and puromycin resistance co-expressed from the strong CMV promoter, with co-expression mediated by the T2A element. An H1 promoter drives expression of the scramble hairpin.